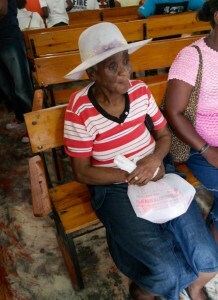 By Lori Harry | Guest Blog | Haiti Trip Team Member "WHY DO YOU LOVE ME SO MUCH?" I can't get these words out of my mind. This question was posed to me by Resien, a beautiful Haitian woman, and her question is one I can easily ask God. When I went on my last trip to Haiti, I took printed photos from my previous trip with the hope that I would see some of the same people again. I'm sure many of these Haitians had never seen themselves in a printed picture. Faces quickly lit up as my simple gifts were passed around for friends and neighbors to see. On our first day at the church, I briefly saw one of the ladies I'd met previously and I remembered I had a photo of her and her children. I was busy organizing something, and before I could give her the photo, she was gone. Each day, I looked for her again, but she never came back to the church. On our last day, I asked the pastor if he would take me to her. As we walked down the path between the dwellings, she was sitting in an open space with a few other women. Our whole team, surrounded by all the Haitian kids that were following us, approached the group of women, and I handed her the photo. We both found ourselves smiling during this brief conversation. 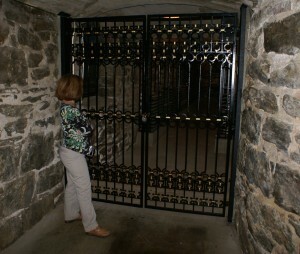 As she motioned me toward her home, a one-room concrete structure, she said, "WHY DO YOU LOVE ME SO MUCH?" I easily answered, "Because Jesus does!" and I gave her a hug. But as I have been sharing this highlight of my trip since I've been home, the deep meaning of her question has pierced my heart. I am a "doer" - always busy, always on the go, and always seeking more to do. It's no different on the mission field. Even though the culture is more slow-paced and not organized in ways that are customary to me, I often feel like I can do more . . . building projects, programs, street clean-up, teaching, etc. . . . But, World Orphans focuses on relationships. Trips with World Orphans focus on encouraging families and staff, spending time with the people in the community, and praying for God's touch in their lives. The way this lady felt because I chose to love her mirrors the way we should feel knowing how much God loves us. It is often difficult for me to accept that I am special in God's eyes, and my friend, Resien, not only reminded me of God's love for me, but also reminded me of the importance of relationship. If for nothing else, I know that God took me to Haiti for that one moment! By Amy S. | Journey Trip Member & Guest Blogger Our first Journey Trip of 2015 just returned from Haiti, and as the team leader I am thrilled to become acquainted with the hearts of my team members. When God lays something on a person’s heart it is our desire to respond to the leading no matter the cost. – Amie Martin, Journey Trips Mobilization Director. Hello, my name is Amy, and I recently joined World Orphans for their Journey mission to Haiti in early August. I never thought I would be a person to go on a mission trip, let alone a mission trip out of the country. I always thought there were plenty of other Christians out there to “fill the gap”, “make the sacrifice”, ”go the extra mile”. I was pretty content in my small, quiet life … that is until God spoke to me. No, it wasn’t a “burning bush” experience, as I probably would have been paralyzed with fear and missed His message. No, it was more like He put a desire in my heart to do something more with my small, quiet life. You see, I am an “empty nester” now, and it has been a long time since I have been around younger children, but I have always loved caring for and nurturing them. I knew scripture had specific instructions to the church regarding orphans and widows, so that is what I sought out when I decided to look for a place to serve. So using the Internet I searched “mission trips” which kicked me to a site that all I had to do was type where, what specifically do I want to do, and how long. Up popped World Orphans! When I first applied to World Orphans the trip was set for May and it was to be a dental focus. I thought, “Great!” I work in the dental field and Haiti in May would be perfect! This must be confirmation that I am to “do this”. So, I invited my friend to consider joining me on this endeavor. She was all for it, applied, and was accepted to the team also. Fantastic! Now I had someone to share this experience with me! Then the trip was moved to August … Haiti in August? Then the dental focus was to be put on hold until possibly 2016. Then my friend backed out for her own personal reasons. What about the confirmation? But, I knew I really was meant to go - because none of that mattered, the month, the focus, and not having a friend to go along with me. All that mattered was that I was to follow through on the desire to serve. I had so many obstacles in my way to distract me. My mother suddenly passed away weeks ago, my first grandchild was born, and an abundance of other distractions to get in my way for making this trip the experience of a lifetime. It is my hope and prayer to stay focused on the path while remembering: “I can do all things through Christ who strengthens me” (Philippians 4:13). I’ve been home for one week already since my incredible trip to Delmas, Port au Prince, Haiti! I’ve been sorting through many feelings as I reflect upon the week with my teammates, World Orphans staff, and Christ followers of Haiti. Before we departed for Haiti, my team leader Amie asked if I would recruit a “prayer warrior.” I would keep in contact with this person throughout the week with updates on our trip and prayer requests while we were on-field. I gave the name of one of my very best friends, Renee, whom I knew would be up to the task, since my previous “go to warrior” was now with the Lord and cheering me on. It is because of those prayers that I have felt God’s strength and sustaining grace that gave me one of the most wonderful and fulfilling experiences of my life. The smiling faces of the children and people of Pastor Carlos’s church and community is a memory I will cherish the rest of my life. The prayer requests broke our hearts as our interpreter Davidson translated. We realized that the requested prayers were no different than the ones we lift up here in America, to be “faithful and be kept in the Lord Jesus and in the Church”. Only their difficulties are compounded with the inability to provide food or water on a daily basis. I learned that World Orphans supports 20 children through Pastor Carlos’s church and we were able to visit a few homes in a “tent city” one afternoon. As we walked on the hillside through the community of makeshift, two-room tarp homes, people were smiling and greeting us with joy and acknowledgment. There was special hospitality shown towards Pastor Carlos, as he is known for his dedication and commitment to them. I also witnessed children playing and smiling, as well as mothers reading their Bibles and praising God. It was quite profound! Yes, the country of Haiti is the poorest in the Western Hemisphere; we saw the evidence of that everywhere we looked. But when you look past that, God is moving in the individual lives of each Christian there! That is their Hope, that “He who began a good work in you will be faithful to work it to completion…” (Philippians 1:6). We invite you to take a step to becoming a lifelong orphan advocate by joining us on a Journey Trip! Click this link for more information. A guest blog, by Simeon. You are invited to lean into some thoughts, feelings, and ideas from Simeon, one of our Journey Trip team members, currently in Haiti. We are thankful for his vulnerability and willingness to allow us to post his blog. We hope it inspires you today in your own journey of active faith. I like logistics. In almost everything I do, I like organizing, planning, and running the show from safely out of the spotlight, behind the scenes. This includes the ministries I’ve served in as well, such as audio-visuals at church and the secretary and treasurer in the university fellowship. Last summer, I declined to join the VSET missions team from our church, and instead, I decided to support the team financially instead. I told myself that it was a better use of my resources: I had a summer job, and if I didn’t have to take a week off, I could give that money to someone else who can do missions better! Quite logical. It’s a similar reason to why I’ve chosen to serve in behind-the-scenes roles as well: there are others who are “better” at public speaking, and more sociable and charismatic. But this was also an excuse. Serving behind-the-scenes is very comfortable. I’ve gotten rather experienced at it. And the problem is that I’ve started trusting myself that I can handle these jobs. It feels like I no longer need to trust in Him to do the tasks needed for the comfortable behind-the-scenes jobs. It was clear, this wasn’t good enough. At our church, the AV team had stayed relatively constant in the last 4–5 years. But in those years, I also had the chance to see high schoolers graduate and leave for university, young adults beginning to start families and have children. As people enter into brand new stages of life, the roles they serve in their ministries inevitably change. And so I thought about the AV team, “Who’s going to do this after we’re gone?” The current team members have been serving for several years, and we have not had any new recruits. I realized then the importance of actively training and mentoring the next generation as being a core part of every ministry, which is just as important, if not more than the tasks of the ministry itself. At the same time, I had the amazing opportunity to teach children’s Sunday school at my church for grades 5-6. I love the children, and it’s the best feeling to see them get excited and be interested in learning about Christ. It was then that I came to realize the truth of the statement “the future rests with the children”. These same children are the ones who will grow up to be older siblings for the younger ones. It will be them who step up to lead the high school and university fellowships, who will be a light to their communities at their school, and in their workplaces. It will be them who will grow up to serve as department chairs and board members in the church. At that point, I wanted very much for every child to experience God for themselves in the personal way that changes them to the core of their being, so that they too, would want that for others. When my pastor asked me this summer to join the missions trip, I voiced my objections that I didn’t want to be on the front lines; he challenged me to try being uncomfortable for once. Almost everything about this trip is scary, and travelling to a foreign country might not be the worst of it. I’m scared of saying the wrong things; I’m scared to ask my peers, friends, and family for money; I’m scared writing this blog post. But I also realized that there is an entire group of children who also need to experience God in that personal way. They too, have the future of their churches, families, and perhaps their country resting on them as well. I realized that God has been preparing me all this time to reach out to the families in Haiti, and although it’s scary, He invites me to find my comfort through faith in Him. And that’s more than comfort enough. How is God inviting you to stretch in faith? The question is often asked of children, “What do you want to be when you grow up?” I remember my well-meaning grandfather asking me this question, hoping I would dream big, work hard, and achieve everything I ever desired. I pondered various opportunities like becoming a nurse so I could take care of sick people or a flight attendant to serve others while seeing the world. I wanted to make him proud. I wanted to ‘become’ somebody. Individual success was marked by the professional path I would choose and how hard I would work to ‘become all I could be’. Success that is marked by what ‘I might become’ has at times taken me down a path of discouragement and disillusionment where the fundamental question of my identity and purpose go unanswered. Understanding God’s story and His intent for my life has been paramount in addressing the fundamental questions about why my life was purposed and what it is to become. “I, Yahweh, have called you for a righteous purpose, and I will hold you by your hand. I will keep you and appoint you to be a covenant for the people and a light to the nations” (Is. 42:6). World Orphans addresses the fundamental question of its mission and purpose with the Biblical view that we believe what Scripture says about the church, the orphan, and the expansion of the Gospel. I’m honored to share a recent example with you. Wholistic Care (a function of World Orphans Projects and Church Partnerships) just returned from hosting their first Haiti Orphaned and Vulnerable Child (OVC) Caregiver Training for more than 270 precious men and women who have graciously welcomed vulnerable children into their homes and hearts. Wholistic care for children (spiritual, physical, emotional and mental) recognizes that mankind has value, dignity, and purpose because we are created in the image of God, and for God. We learn from scripture that we all begin on the same playing field. There is no distinction between nations, races, education, or economic status. There is no one who is righteous, no one who does good, and we are all in need of forgiveness that we do not deserve and that we cannot earn. World Orphans President and adoptive father, Scott Vair, began our training together by encouraging the caregivers with the biblical view of orphans and adoption. Scripture teaches that we are brought into God’s family through the blood of Jesus Christ, resulting in forgiveness of sin, spiritual adoption, and eternal inheritance. Scott taught that we do not love in an effort to earn God’s favor but we love others because God first loved us. The outflow of our love pours from the love that has graciously been poured into our hearts. Following this message, six caregivers responded and accepted the gift of salvation and invitation to become a part of God’s family! This tender moment still brings tears to my eyes. It was a joy to welcome six new sisters into the family of God. “But now in Christ Jesus you who once were far off have been brought near by the blood of Christ” (Eph. 2:13). The caregivers willingness to provide for orphaned and vulnerable children in the context of family is a beautiful metaphor of God’s gift of salvation through Jesus Christ. "In love he predestined us for adoption as sons through Jesus Christ, according to the purpose of his will, to the praise of his glorious grace, with which he has blessed us in the Beloved. In him we have redemption through his blood, the forgiveness of our trespasses, according to the riches of his grace, which he lavished upon us, in all wisdom and insight making known to us the mystery of his will, according to his purpose…” (Eph. 1:3-7). The practical components of this training bridged the divide of cultures and degrees of suffering because the righteous acts of Jesus specifically address the heart of human suffering and need. The degrees of suffering from nation to nation are marked by great contrast, yet the hope for every heart remains the same since hope’s remedy is not marked by status, nationality, or degree of hardship; rather, our boast is in the Lord who became to us wisdom from God, righteousness, sanctification, and redemption. “Consider your calling, brothers: not many of you were wise according to worldly standards, not many were powerful, not many were of noble birth. But God chose what is foolish in the world to shame the wise; God chose what is weak in the world to shame the strong; God chose what is low and despised in the world, even things that are not, to bring to nothing things that are, so that no human being might boast in the presence of God. And because of him you are in Christ Jesus, who became to us wisdom from God, righteousness and sanctification and redemption, so that, as it is written, “Let the one who boasts, boast in the Lord.” It is from Him that you are in Christ Jesus, who became God-given wisdom for us--our righteousness, sanctification, and redemption” (1 Cor. 1:30). Willing caregivers who have taken children into their homes are greatly commended. These men and women are engaging in the hard work of daily tending to the hearts and needs of defenseless children who were far from protective love and care, but are now brought near. “It is not that we are competent in ourselves to consider anything as coming from ourselves, but our competence is from God” (2 Cor. 3:5). What an absolute joy to participate in bringing the ultimate hope of Jesus and practical encouragement to the work they are doing through the living word of God. I, along with my beloved brothers and sisters in Haiti, are continuing to discover what it means to be created for a righteous purpose. 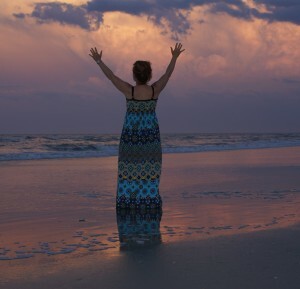 Understanding that Jesus became sin so that I might become the righteousness of God continually informs my identity and purpose as a woman of God and compels me to live in light of this reality. Jesus, who knew no sin, bore our (my) sins that we (I) might become the righteousness of God. For our sake he made him to be sin who knew no sin, so that in him we might become the righteousness of God” (2 Cor. 5:21). My purpose and identity did not result in becoming a nurse or flight attendant (although I have great respect for both of these professions). I am continually deepening in my understanding that my ability to become anything rests solely in the righteous One who ‘became’ for me what I could not earn and did not deserve. I have been created, formed, redeemed, and named. “But now thus says the LORD, he who created you, O Jacob, he who formed you, O Israel: “Fear not, for I have redeemed you; I have called you by name, you are mine” (Is. 43:1). My boast is the Lord and the grace He continually gives to those who believe. I am so grateful for the caregivers in Haiti who are strategically placed by God to bring children into their families and care for their needs. Truly, they have been created for ‘a righteous purpose’ and this love reflects the heart of our Father in Heaven. “But I count my life of no value to myself, so that I may finish my course and the ministry I received from the Lord Jesus, to testify to the gospel of God's grace" (Acts 20:24). To be honest, I’m not a big fan of blogging. While reading blogs can be fun, I’ve never been one for thinking that people actually want to know what I think or about my life. So, naturally, when it’s my turn to blog I feel both a sense of privilege, to tell the stories of our trips, but also a sense of dread, in the vulnerability that is blogging. A little background: I traveled to Haiti and teamed up with my co-worker, Kevin (top-notch teacher, discipler extraordinaire), and a group of young adults (also top-notch) that formed a team from Temple Baptist Church of Mississippi, to serve alongside Pastor Thony of Eglise de Dieu de la Bible. My goal was to experience one of our teams, church partnerships, and trips in action, so that World Orphans can continue to guide and improve how we send short-term teams. During our first day at Pastor Thony’s church, the leaders of this partnership met in 95-degree heat, underneath an overhead tarp held up by a few wobbly posts (watch your head! ), and kids running around everywhere. I watched as these leaders laughed, cried, and shared their hearts. The US church listened as Pastor Thony shared the joys and struggles of the past year, including a 2,000 person revival, the need for a bigger building so that more people can be discipled, the pain of having to abstain from visiting the sick, and hurting for lack of resources. As I listened, I realized that I was the only one not crying. Now before you think too much about that, let me explain: All of the sudden, I realized that in front of me was the bond of partnership that had been cultivated and deepened over YEARS of ministering together. It hit me that these churches are one in the Lord, so much so that they share each other’s joys and sorrows, laughter and tears. What started as a partnership aimed at helping 20 kids has turned into so much more! Now, the gospel is impacting hundreds of kids, families, and their entire community. Medical care is being given to those that may have never seen a doctor in their life. Spiritual discipleship is happening in the church, restoring hope. And yes, kids are being fed, educated, and loved in families! “Share each other’s burdens, and in this way obey the law of Christ” (Gal. 6:2). Yes, what I saw was this in action: a beautiful partnership. Sitting inside a concrete building with a tin roof, this particular Sunday was unlike most for me. Shoulder to shoulder, and sweat-bead to sweat-bead with my new friends from Mississippi, we were the guests of honor at Eglise de Dieu de la Bible, or easier said, Pastor Thony's church. As the service continued, we straightened a little as the pastor began the offering, which was followed by a community offering. Many team members didn’t hesitate to reach into their bags for a shiny new bill. The physical need around us was not hard to see and feel. Thank you beautiful woman of God for being a testimony to us of how to love selflessly; thank you for teaching us how to act justly and love mercy and walk humbly with our God. I have to admit that coming into the trip I was a bit skeptical. First of all, anyone who knows me can easily see that I look like I’m 13-years-old. So, hanging out with 17-20-year-olds has never been my preference; and second of all, I’ve read the criticisms of short-term missions and was crossing my fingers, hoping I wasn’t joining a team that would be perpetuating the problem. My fears could not have been more misplaced. The plan for the week, done at the request of Pastor Thony, continued to unfold: three days of hosting a medical clinic, fun in the sun for kids to play and learn Bible stories, and English classes. And needless to say, I quickly became wrapped up in the warmth, love, and passion of these young adults. I quickly saw that in this trip God’s beautiful plan was at work. As I listened to my new young friends talk in their distinctive southern draw and watched them serve, I learned that many had been to Haiti two, three, even four times because they love the Haitian people and want to be part of sharing God’s love with them. I met a young man planning to study business and was eager to learn about Haitian economics to determine whether starting a business in Haiti to support its stability and livelihood might be a good, helpful thing to do. I met three young women that spent a month just living with and learning from our friends in Haiti about their culture and how God is at work in their lives. And as I started putting all of these puzzle pieces together, I began to understand that there is a greater plan than just being part of a one week short-term mission to Haiti. God’s beautiful plan is at work. God’s plan was at work as Pastor Thony opened the doors of his church to welcome his community in for professional care, prayer and medicine, and His plan is at work now as Pastor Thony continues to disciple his church long after we have returned home. God’s plan is at work in these beautiful young people as they continue to learn and grow into full adulthood with careers, friends, and communities within their reach. And God’s plan is at work as this partnership continues to seek Him in caring for children, their communities, and each other. “Then the Lord spoke to Jonah a second time: ‘Get up and go to the great city of Nineveh, and deliver the message I have given you’… The people of Nineveh believed God’s message, and from the greatest to the least, they declared a fast and put on burlap to show their sorrow” (Jonah 3: 1-2, 5). Sometimes God’s plan unfolds quickly and sometimes it takes years, but after watching the bonds of this partnership in action, I’m confident that God’s beautiful plan is active and the Gospel is alive in hearts and minds as a result of the Holy Spirit’s work through this unified toiling. So, if I could put it in a rather large nutshell, this would be it: this was my beautiful trip. World Orphans continues to book airline tickets for and assist teams just like this one to go and see their friends across the world. Please join me in praying for our World Orphans partnerships and their 2014 visits with one another. Please pray we will be unified in the Gospel, laying ourselves down for the cause of Christ and for the encouragement of our brothers and sisters in Haiti, India, Ethiopia, Kenya, and beyond. Do you have a story to share from a short-term trip that’s impacted you? How do you see beauty in your life right now? There is an ongoing debate of whether short-term mission (STM) trips are helpful or hurtful. Are these trips “spiritual tourism” or do they in fact leave a lasting impact to the glory of God? As a sending organization of 30-40 STM teams each year, World Orphans has much invested in the answer to that question. Additionally, as the Church Partnership mobilization director, whose job is to intently focus on equipping teams for travel, I personally have much invested in this question, as well. It’s a question that cannot be ignored. This statement is not an option or something Jesus gave to His disciples to consider, it is a command. As Jesus’ modern day disciples, we, too, are to go into our communities, our country and our world to teach, spread the Gospel, and make disciples. World Orphans is honored to mobilize 36 US churches to “go” and serve alongside their international partners. Why do we send these teams? We have a heart to mobilize the church to care for the orphaned and vulnerable. World Orphans understands that STM trips are a bridge within partnership, the connecting piece for God’s global church to unite in doing His will. In January 2014, Daybreak Community Church visited their Haitian church partner, Mission Eglise El Schaddai. Alongside Pastor Pierre, the team united with their Haitian brothers to hold two medical clinics and children’s camps, enabling them to draw more than 500 people into the church to hear and feel the love of Jesus. It brings a smile to my face thinking that because of God’s work through this team, children and families were cared for and heard the Gospel. Praise Him! As I consider if it is best for STM teams to go, how they go must be equally deliberated. Jesus’ disciples are called to baptize, teach and obey. He calls His disciples to engage in relationship. As World Orphans mobilizes the church, the emphasis is not on work projects or task; the emphasis is relationship. While medical clinics and outreach events are planned and implemented, all are done within the context of relationship. Of utmost value to World Orphans is the US and international churches connecting to fellowship, pray, learn and serve with one another – to build relationship. The same church, Daybreak Community Church, spent New Years Eve with their Haitian brothers and sisters. Over a pot of Blessing Tea, they sang, danced, praised God, and prayed together. In their time together, whether being serious or having fun, both churches were equipped and inspired as one united body to care for children, each other, and their community. What a beautiful picture of the hands and feet of Jesus reaching across the nations! Last, as Scripture teaches, Jesus is with us as we go. With Christ as the cornerstone of C2C partnerships, teams travel with a heart to make Him known. All clinics, seminars and outreaches are done under the umbrella of the local church, allowing the church to minister to the physical, mental, emotional and spiritual needs of each person. As immediate needs are met with the help of the short-term team, long-term relationships amongst the community are established for the international church to nurture the love of Jesus. Jesus, our Savior: where would we be without Him? I certainly never thought that I would be helping people travel around the world from my little house in Michigan. When we surrender our jobs, our families, our churches, and our STM trips, He takes them and makes them a beautiful work for His glory. When the church is actively caring for the needs around them, Christ is glorified. World Orphans will continue to send STM teams in 2014 to nurture relationships and care for children, to the glory of God. You can join with us in sending these teams by praying or going. Specific ways to pray for our teams include: deepening of relationships within each partnership, sensitivity to the culture and the leading of the Holy Spirit, humility to love and receive love, and safety. If you desire to join us on a short-term trip this year, click here. What are your thoughts about short-term mission trips? Do you believe they are helpful or hurtful? During the months that followed the massive earthquake in Haiti in 2010, I spent a great deal of time in Port au Prince meeting with pastors and church leaders as we developed our Orphan and Vulnerable Child Program. During that time, through God’s providence, I was introduced to Ronald Watson – a Haitian man who would become my interpreter, later our national director, and most importantly, a good friend. It’s amazing how God places people in your lives and how He uses relationships to grow and shape us. I’ve learned a ton from Ron, and I suspect he has learned some from me too. We’ve spent countless hours talking about orphan care, about the role the Gospel plays in orphan care, the country of Haiti, and the church God is raising up there. We’ve broken bread together, been in each other’s homes, and met each other’s families. This is so for many of our World Orphans staff, as our travels lead us around the world, amazing friendships develop and grow. These relationships - friends in different countries and cultures - are a great privilege and blessing, and I don’t take them for granted. This past Saturday, I was honored to attend Ron’s wedding in Haiti as he was joined in matrimony with his beautiful bride, Vanessa. It was truly a sweet gift to be able to share this special day with them. As their friend, I wish to extend my personal congratulations and those from our World Orphans team as well. I know this might not be the typical verse you would expect to see on a blog about caring for orphans around the world, but hang with me on this for a second. I’ve read this verse multiple times and my first response was to my current circumstances. I looked at the major thing in my life that I’m trusting God for that He has chosen to wait to provide and said, “Thank you Lord for the reminder that even though I need this, it’s a necessity, and it’s not here yet, I will praise you.” A very normal and good response. But then I got to thinking a little bit more. I began thinking about the recent trip I made to Haiti with one of our Journey117 teams. I remembered seeing where people live, what they eat (if they eat), and most of all, I remembered worshiping with them on Sunday. They get up early enough to be at church at 6:30am! They worship for 3 hours! Their hearts and faces shine with the love they have for their Savior and King! And I was brought to my knees with the meaning of this verse for the Haitians with whom we were blessed to worship. Though the mango tree should not blossom And there be no rice in my tent, Though the yield of the maize should fail And the fields produce no food, Though the goats should be cut off from the tribe And there be no pigs in the pen, Though my house is currently a USAID tarp and four small tree trunks, Yet I will exult in the LORD, I will rejoice in the God of my salvation. This church loves their Lord. They exalt Him in a beautiful way. They care for the orphans and vulnerable children in their community, and they were doing it way before we ever showed up on the scene. We were blessed to be invited to come alongside them that Sunday and worship with them, serve these children with them, and hear their stories. Habakkuk looked around and saw not only physical devastation to his country, but spiritual devastation. He cried out to the Lord and asked why He was allowing this to happen. But he didn’t stop there. He chose to praise God in the midst of it all. He knew his help, his salvation, came from the Lord. These people know this too, and they know it to a deeper degree than I think I ever will. They care for the orphans and vulnerable children in their communities at a cost to themselves. They see God provide for these children through the means He has given them as church members. But then, He continues to provide through church partners who desire to serve as well. I have had the opportunity to work with a friend of mine who is in full time student ministry at Blythfield Hills Baptist Church in Rockford, Mich. I shared with him the countless ways to get involved with World Orphans. 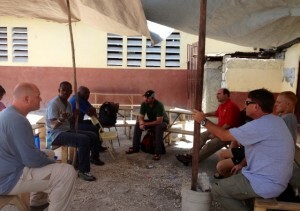 It was amazing to watch God work out the details, as this particular church agreed to partner with a church in Haiti. The unique thing though, is that it is being funded by students! This is not a typical church to church covenant agreement. The partnership is happening through the means of nearly 1,000 middle school, high school and college age students. There is so much excitement within this group. They will be sending their first team down to Haiti in December to meet Pastor Gaston, the 20 children in the OVC program and the Christian nationals that are caring for these precious kids.